Daniel Logan was born June 6th, 1987, and grew up in Massey, West Auckland. His first experience with acting came when he was 10 years old. Young rugby players were being auditioned for a television commercial (alongside Michael Jones), but Daniel stood out and got the part. He was soon noticed by casting agents, and filmed several more commercials, before landing a recurring role on the long-running New Zealand drama ‘Shortland Street’. Coincidentally, the show was also a launching pad for Temuera Morrison, who worked along side Daniel Logan on ‘Attack of the Clones’. Daniel also appeared in an episode of locally-filmed series ‘Hercules: The Legendary Journeys’, and provided voice-work for two local animated series: ‘Tamota’ and ‘Takapu’. He acted the lead role in the short film ‘Falling Sparrows’, and in 2003 starred in ‘The Legend of Johnny Lingo’. 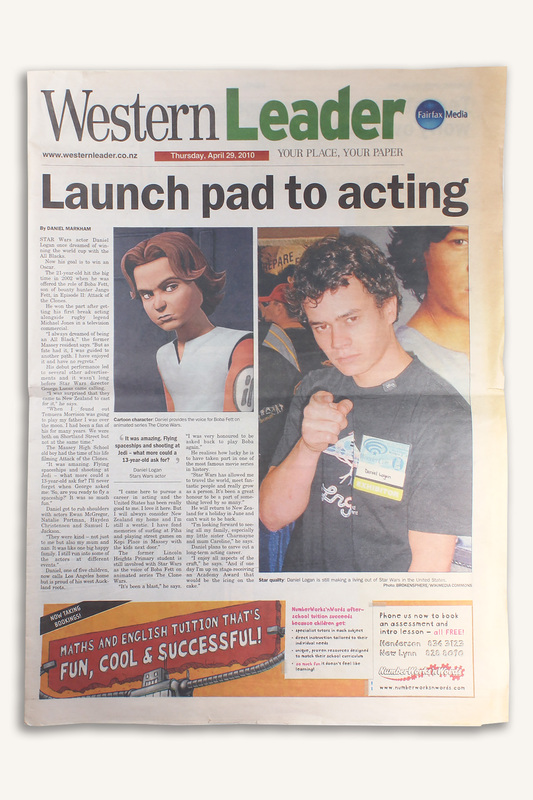 After auditioning along with thousands of others, 13 year old Daniel won the role to bring the young Boba Fett to the screen…for the young Star Wars fan, keeping the role a secret was a hard task! 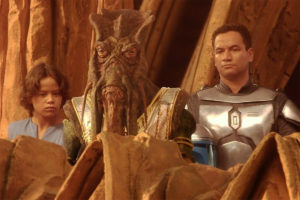 Daniel worked with two fellow New Zealanders on ‘Attack of the Clones’ – his ‘father’, Jango Fett, played by Temuera Morrison, and the Kaminoan Taun We, played by Rena Owen. Even though Rena Owen doesn’t appear on film in Episode 2, she was there on set to help Daniel and the other actors with dialogue timing and eye-lines. But Daniel spent most of his screen-time with Temuera, and enjoyed working with the famous New Zealander. 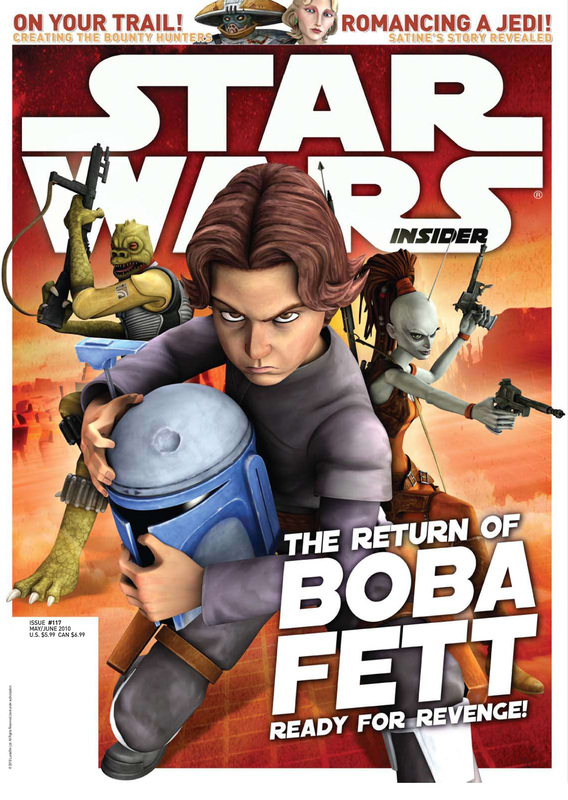 Filming the part of young Boba Fett wasn’t just one role – it was hundreds. 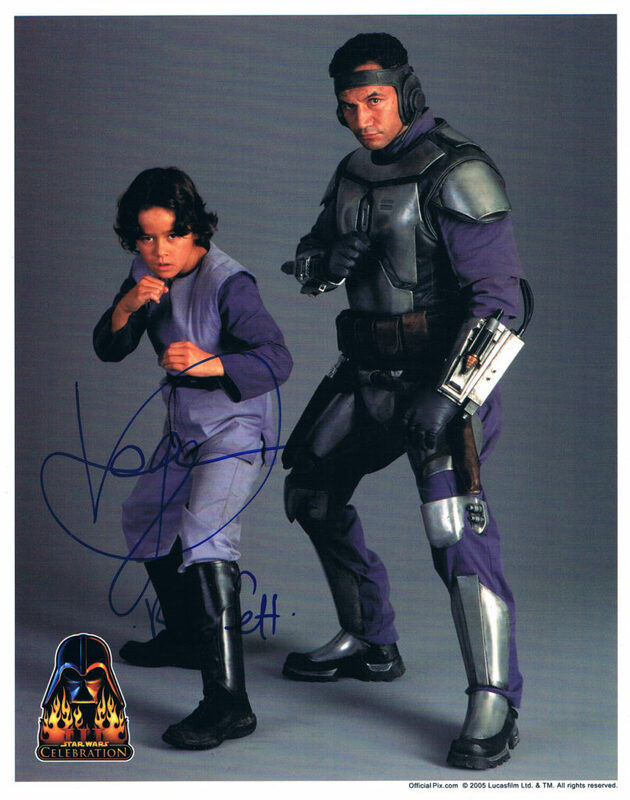 Playing the young clone of Jango Fett, Daniel Logan also filmed the roles of all the many young clone boys. After approximately eighty different takes in a bluescreen environment, the task became a bit tiresome, but Daniel reported still enjoying being a part of it all, and has talked of the “great honour to be a part of something loved by so many” (Western Leader, April 29, 2010)! 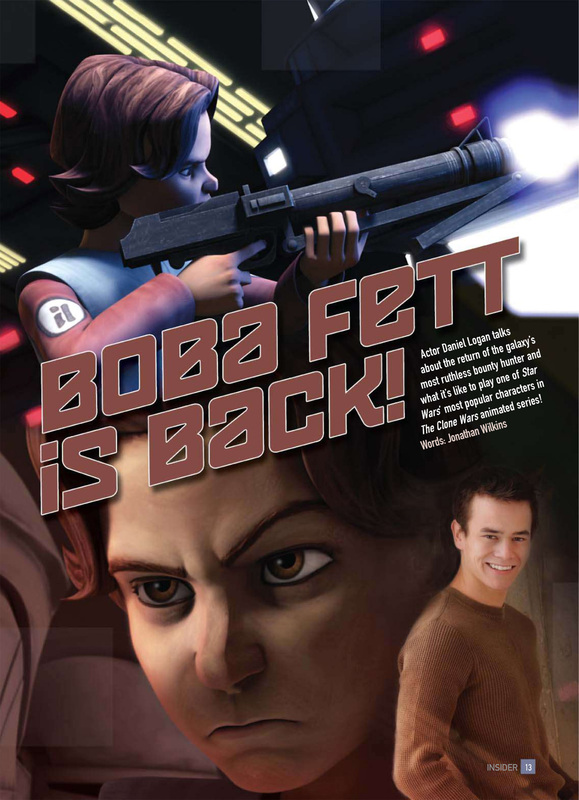 In 2010, nearly 10 years after his work on ‘Attack of the Clones’, Daniel returned to the Star Wars universe to voice a teenage version of Boba Fett in The Clone Wars animated series. 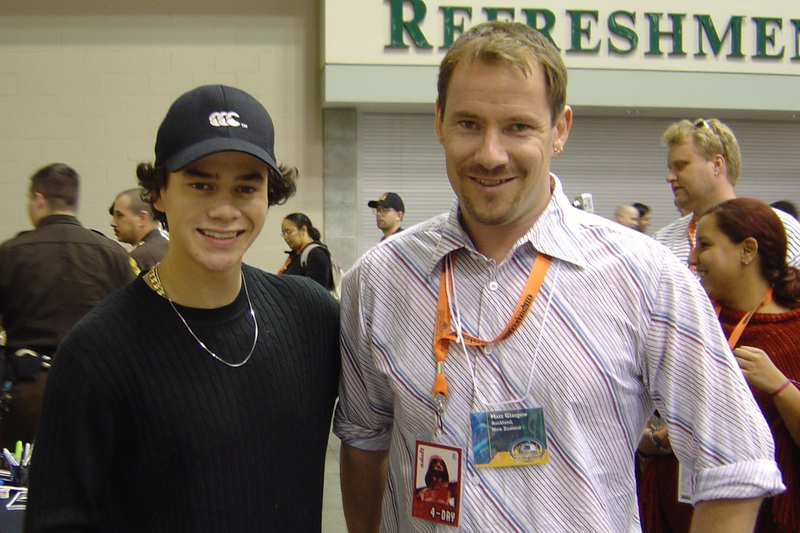 Daniel now lives in California, but is a regular at conventions all over the world (such as Armageddon Wellington in 2005, and Armageddon Auckland in 2016). 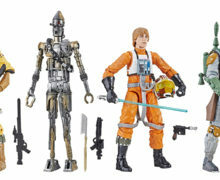 He is an honorary member of both the 501st Legion and Rebel Legion Star Wars costuming clubs . 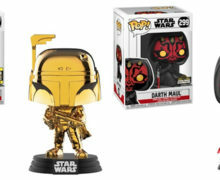 He enjoys meeting the fans, and being an active participant in the Star Wars community.